"Sunny Day, Sweepin' the clouds away, On my way to where the air is sweet...Can you tell me how to get, how to get to Sesame Street?" Well, right this way! 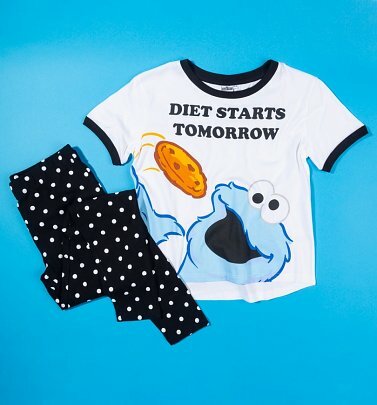 Created by Joan Ganz Cooney and Lloyd Morrisett, the beloved children's series Sesame Street launched in 1969 and aimed to make learning super-fun, with the use of Jim Henson's Muppets puppets! It was the first time that educational goals and the curriculum were used to shape the content of kids' TV - and with the amazing, loveable gang of characters, it's no surprise that little viewers loved to learn. 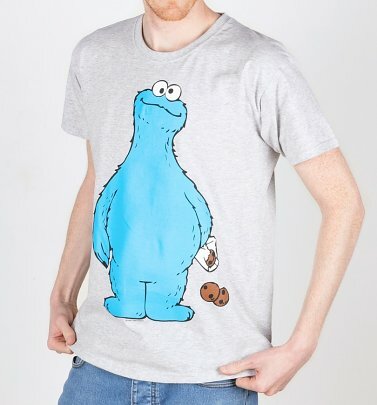 Whether you have a soft spot for everyone's favourite enthusiastic furry red monster Elmo, mad-for-munching biscuits Cookie Monster, wise feathered-friend Big Bird, grumpy but heart-of-gold Oscar the Grouch or forever best friends Bert and Ernie, everything will be a'okay with our cracking official range of Sesame Street T-Shirts, jumpers, socks and Fancy Dress!